We have upgraded the Toxnot menus and toolbars to make it easier to navigate and faster to get your reports and analysis done. First, we have updated the left-hand navigation bar. It is now organized into categories, making it easy to find all what you are looking for without having to scroll down. 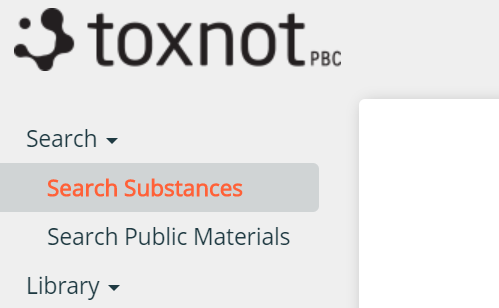 Searching for chemicals or Toxnot Public Materials? Use Search. Looking for information on your products, materials or publications? Setting up the your view of products or materials? Use Library. Sending supplier surveys or checking responses? Use Suppliers. We have also updated the BOM toolbar to fit better on any screen size and to give easier access to the tools you need. 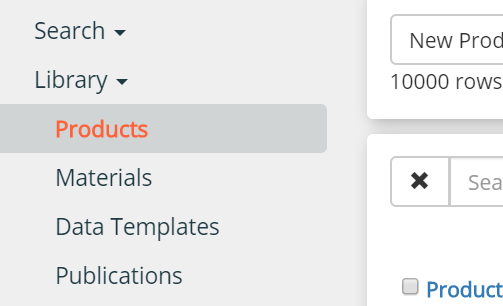 The dropdown menus are the same, with the addition of the compliance menu which stores additional product compliance data. Some of the frequently used Edit functions are now in the toolbar as well as in the Edit dropdown menu. 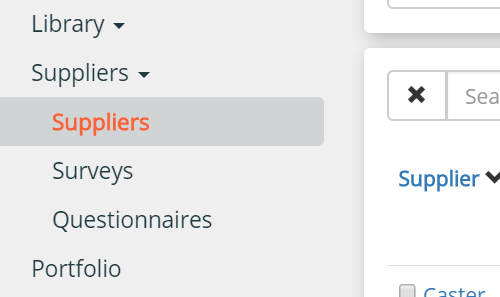 Additionally, two of the buttons previously in the top row will now be toolbar buttons. Mouse over each button in the app, or read below to see their use. If you have trouble finding anything you are looking for, we are always here to help! Use the chat button to contact our team, or email us at support@toxnot.com .